Hollandes Fixative | Polysciences, Inc.
Hollandes fixative is excellent for large and small gastric tissue, GI biopsies or any tissues that contain large amounts of inflammatory and mucinous cells. This solution is one of the best fixatives for certain kinds of protozoa. 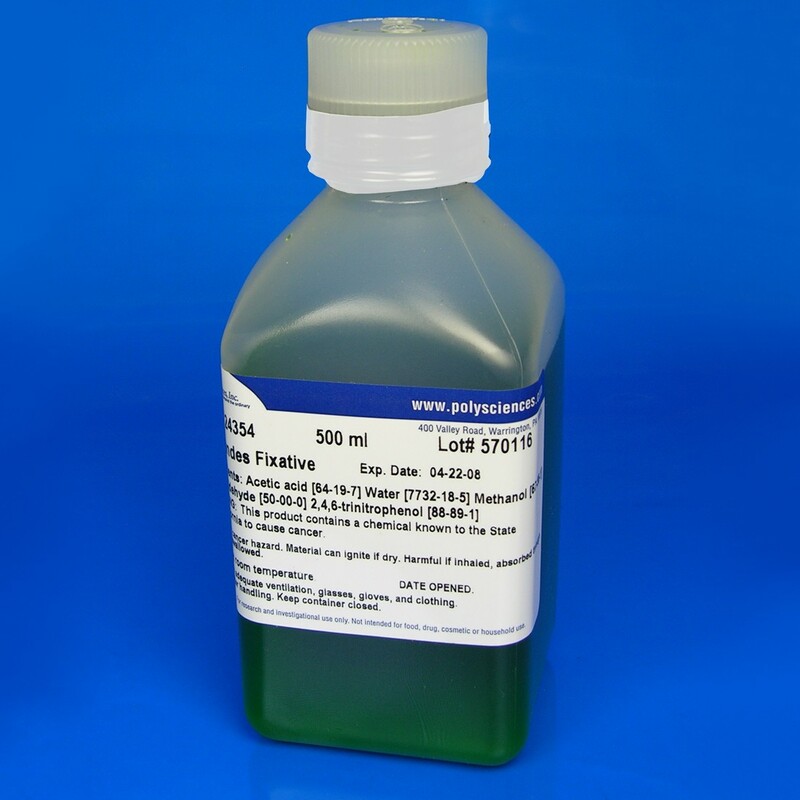 Hollandes' solution is a preferred fixative for flagellates and ciliates which are demonstrated with silver stains. It is also a good fixative for routine surgical specimens. After fixation, transfer the specimens to 70% alcohol and leave them in this until the picric acid and cupric acetate have been thoroughly washed out (approximately 2 hours).